With this exclusive offer from Rewarding Times, we are offering a one night stay for two people in a Twin or Double Deluxe room at the luxurious 4* Deluxe Mount Wolseley Hotel, Spa and Golf Resort . This great offer includes a full Irish breakfast and four course dinner for 2 in Fredericks Restaurant with a Glass of Prosecco. You will also receive 20% off afternoon tea and and 20% off Spa Treatments to the value of €80.00 and over to include complimentary use of the Thermal Suite complete with Sabia Med, Indoor Beach. Mount Wolseley Hotel, Spa & Golf Resort is perfectly located for that well-deserved break. From the grand staircase, regal interiors and glistening Italian marble floors, this magnificent Resort was designed for luxury. Reinvigorate your spirit in the Wolseley Spa, test your skills on the championship Golf Course or simply spend a leisurely afternoon curled up with a good book in your spacious bedroom. 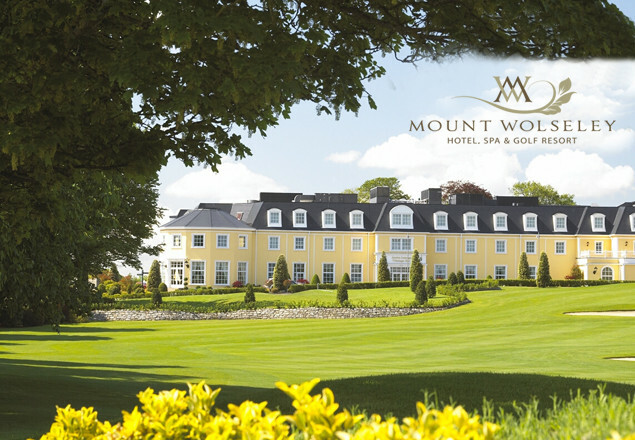 The Mount Wolseley Hotel, Spa & Golf Resort is situated in the tranquil countryside of Tullow in County Carlow. 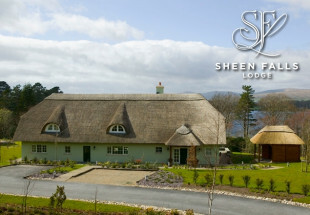 Centrally located just one hour from Dublin. This magnificent 4-Star Deluxe Spa & Golf Hotel is set in a serene country Resort and offers an idyllic escape in a central location. No effort or luxurious amenity has been spared to assure every guest an atmosphere of total comfort. The bedrooms and suites are large, airy and light and each room is decorated in its individual style with views over the rolling countryside. Why not take a meandering journey of the breathtaking late great Christy O'Connor designed championship golf course at Mount Wolseley. Like a fine wine, this lush championship parkland golf course has matured beautifully with age, with rich surrounds, mature trees, lakes and playing surfaces unrivalled for its consistency and quality. Home to the European Challenge Tour for 3 consecutive years, this magnificent course allows players the opportunity to play in the footsteps of the worlds greatest golfers. The Wolseley Spa offers the very best of Asian and European rituals including Swedish Massage, Steam Rooms, Floatations and Hammam. 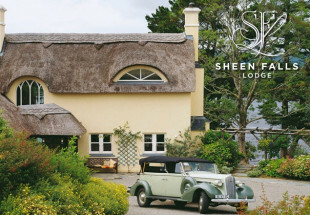 Relax, invigorate and rejuvenate, treat your senses to a luxurious escape. Complete with the renowned Sabia Med Indoor Beach light therapy experience, only one of a few in the country. A treat for body and soul. Activities for children abound with the action packed Woolie Bear Kids Club in full swing over midterm breaks. Complete with outdoor playground, zipwire, teen zone, soft play area and baby room, all boxes are ticked for little guests. The relaxing environment coupled with the extensive luxurious facilities enable this regal property to offer the complete experience to all. Vouchers are valid Sunday to Friday only, subject to availability. Vouchers are valid from 8th March to 30th June 2017. Price is for 2 people sharing a Deluxe Double or Twin Room for 1 Night. Four course dinner for 2 in Fredericks Restaurant with a Glass of Prosecco. Full Irish Breakfast for 2. Spa Experience – 20% off all treatments in excess of € 80.00 PLUS Complimentary use of the Thermal Suite including Sabia Med, Indoor Beach experience for 2. 20% discount off a round of Golf. 20% discount off sumptuous Signature Afternoon Tea for 2. Offer subject to availability at time of booking. 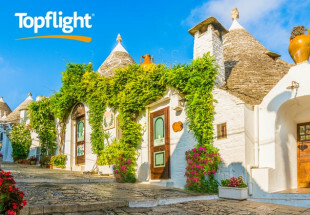 Saving based on information provided by the hotel at time of offer date. Afternoon Tea and Spa Treatments must be booked in advance of arrival to avoid disappointment.